They decided to try the diuretic challenge one more time on him yesterday. The challenge is they give him 2 high doses of two different kidney drugs 30 minutes apart then wait 6 hours to see if they worked (meaning he had urine output). While we prayed lots for him yesterday and asked God fervently for this challenge to work it was not in His plan. Hudson produced no urine throughout those 6 hours. After the challenge they thought it would be a good idea for a picc line to be put in. 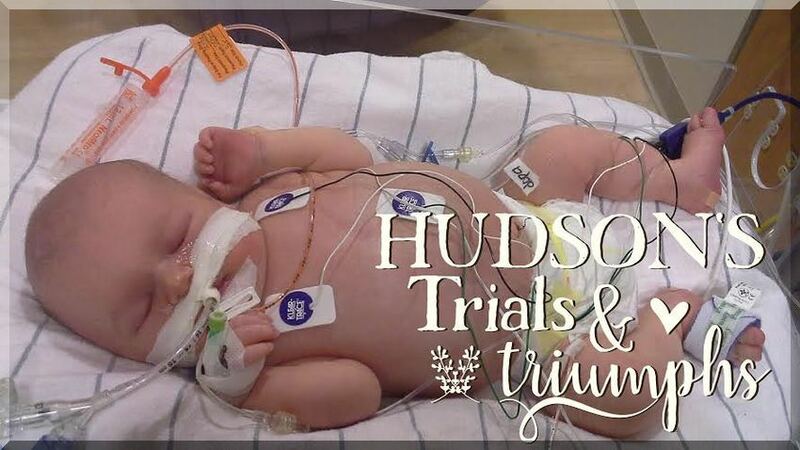 Hudson was currently in a stable condition and he was going to need one anyways as the line that was currently in his umbilical cord can only be in for 7-10 days. While he was only at 5 days yesterday he isn't too swollen yet. They said it would be easier to get this line put in before he gets any more swollen and then the harder it is to get in. They got the line in on the first try! Praise the Lord! They said they would try up to 3 times and then wait to try again the next day. The line got put in his left hand just like a normal IV but the line goes all the way up to his heart. It actually looks a little bit thicker than thread. It's pretty skinny. After Hudson's busy day I thought it would be a good idea to go back up that night with him for some mommy snuggle time. My mom actually came with me for the first time to see him. We decided the girls really needed a parent home and Bryan was ok taking them to the gym and putting them to bed. When I got there it actually took awhile for me to hold him because since they determined the picc line was in good they could now remove the old line from his umbilical cord. So I had to wait for them to remove it. I finally got to hold him kangaroo care (skin to skin). It was so sweet. 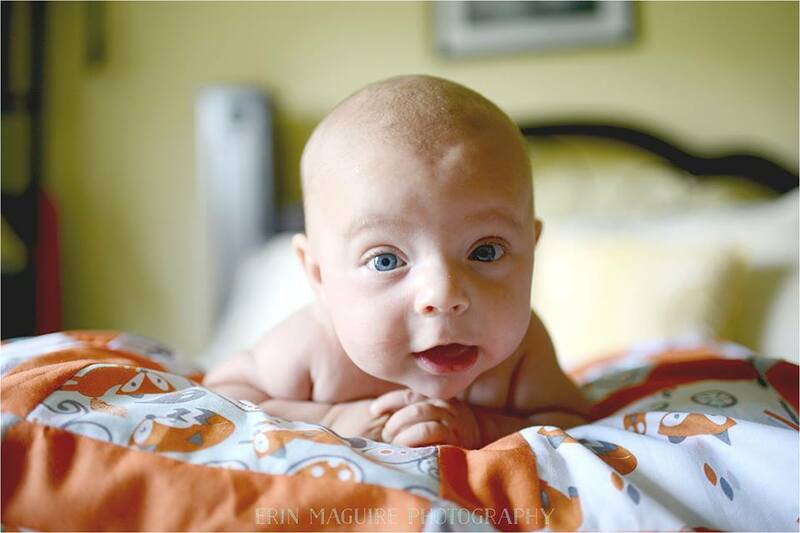 When I hold him I just love on him, pray for him, read my bible to him, and sing to him. It's the best feeling ever. While there Dr. Boyle came in and told us he works at both Community North and Riley Hospital and that he would really like Hudson to go to Riley Hospital the next day. Hudson is doing good and all his numbers are in range and stable even though his kidneys aren't working at all. He thought it would be a good idea to move Hudson at a time like this versus if things started to get emergency like. This way Riley doctors would get to know us and Hudson while things are stable. He said if he hears a bed opens up he wants that next bed for him. He told me a little bit about Riley and what it was like, how the doctors there are bad predictors (lol), and what to expect. It was actually very helpful and prepared me for what to expect. I signed transfer papers and said goodnight to Hudson. Wowza. Riley was not what I expected at all. It was better than I expected. I am simply amazed at everything there. They have a milk bank for all the milk I'm pumping. Bryan and I can eat for free at the Ronald McDonald house or I can order a meal since I'm pumping and can have that hospital meal any time. They are providing all the supplies: bottles, cream, pads, etc for me to keep pumping in hopes someday soon Hudson can use it. (They are using my milk for oral care and are swabbing it on his lips and the inside of his mouth to keep it from drying out and to introduce him to the taste of it.) I really felt how much the staff truly cared about Bryan and I. We met Hudson's nurse for that shift, the NP, the attending physician, the kidney doctors...it was a room full. They filled us in all the people aware of Hudson's situation. We will be meeting with the kidney doctors tomorrow (3/20) to plan for our next steps with Hudson and talk about dialysis. The doctors decided to hook Hudson up to another EEG for the next 24 hours just to keep and eye on him since the transfer was a big thing. They want to make sure no seizures are taking place. Hudson's blood pressure seemed a little low today and yesterday they stopped his blood pressure drug (dopamine, I think) and today they decided to put him back on it. Today was just busy. Tours around Riley and the NICU, meeting doctors, filling out lots of paperwork.... Whew....busy. So here we are praying his blood draws still have numbers in a good range, praying for some urine output tonight, praying for those kidneys to work, praying for peace when meeting with the kidney doctors tomorrow, praying our hearts stay focused on God's plan for Hudson's life as he is simply on loan from heaven.